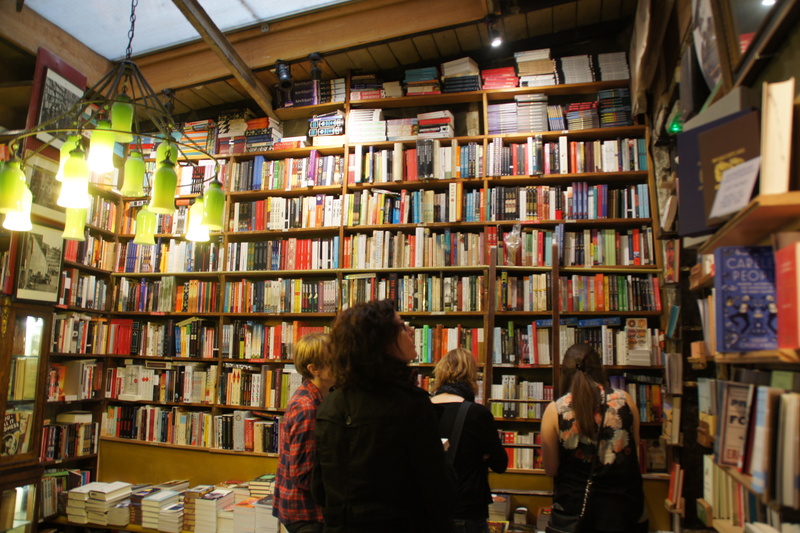 Book lovers from around the world visit the iconic Shakespeare and Company in Paris. When Hemingway discovered Shakespeare and Company back in the 1920s it was located at 12 Rue l’Odeon. Its owner, Sylvia Beach, both sold books and loaned them out, which was perfect for the impoverished writer who had just moved to Paris with his wife Hadley. 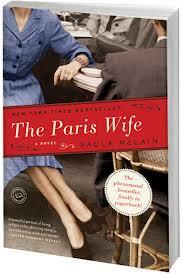 (Read their story in Paula McLain’s The Paris Wife.) In those days, her shop was the center of modernist literary culture, with writers such as Hemingway, Fitzgerald, Pound, Stein, and Joyce congregating in the “warm, cheerful place” full innovative ideas. Not surprisingly, one could find all of the books banned in England and America—most notably, Joyce’s Ulysses—readily available in Beach’s shop. 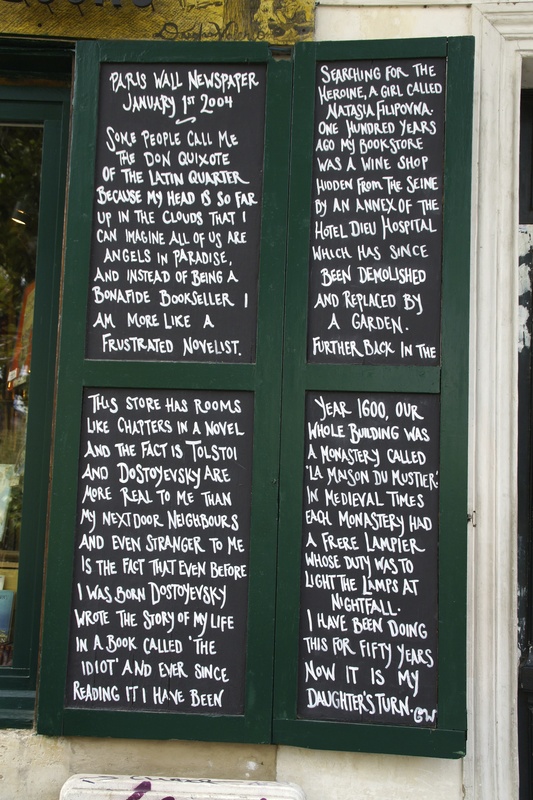 After publishers rejected Joyce’s gigantic Ulysses as pornographic, Shakespeare and Company published it. 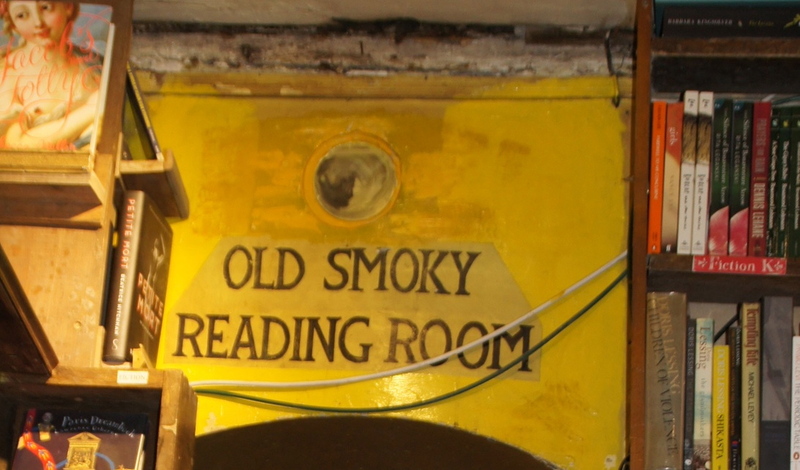 Housed in a former monastery, Shakespeare and Company continues the literary spirit of the Lost Generation and encourages modern writers, including its sponsorship of The Paris Literary Prize. But that was before the World War II. The shop closed after the Germans occupied Paris. Hemingway himself “liberated” the store when he entered Paris with the American troops in 1944, but the store didn’t reopen until the 1950s when George Whitman a new shop, originally called Le Mistral and later Shakespeare and Company, in its current location and continued Beach’s work. Here, a second generation of writers gathered, everyone from the last modernists—Henry Miller, Anaïs Nin, Richard Wright, and Samuel Beckett—through the first Beats—Allen Ginsberg, William Burroughs and Lawrence Ferlinghetti. 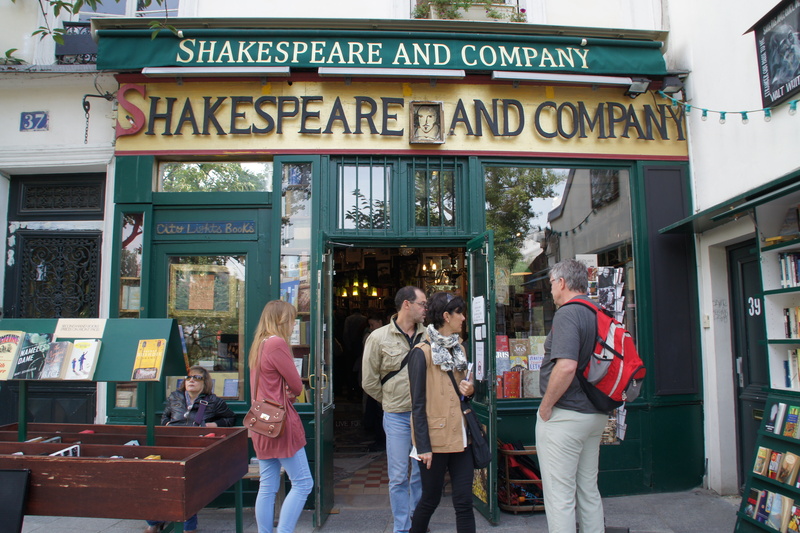 Whitman’s daughter, Sylvia Beach Whitman now owns Shakespeare and Company, which has become the world’s most famous bookstore. It still serves as a haven for penniless writers, who are allowed to sleep among its shelves for free. I have a feeling that Hemingway would feel at home in the the store today, though he would surely miss the first Sylvia Beach… and they’d want him to buy the books. 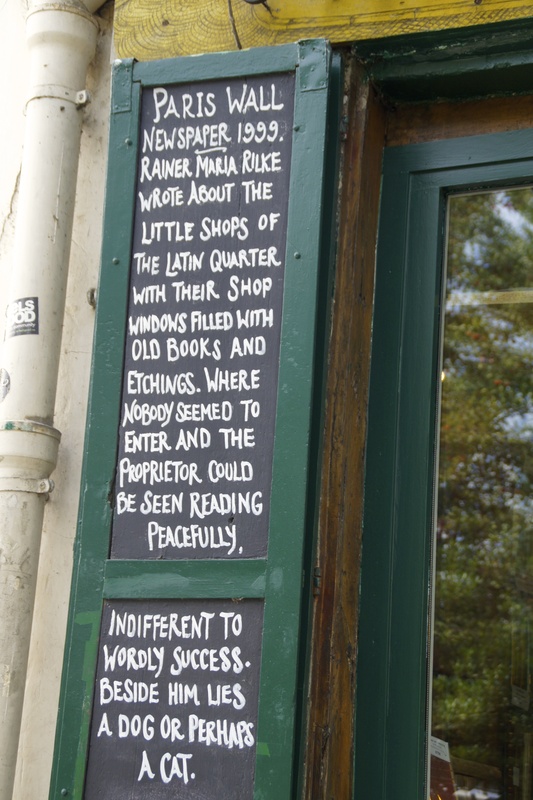 The shutters at Shakespeare and Company tell the bookstore’s story. Travel to the places you read about. Read about the places you travel. Click on the image to order Terri Peterson Smith's new book. Click on the image to purchase Unique Eats and Eateries of the Twin Cities. © Off The Beaten Page Travel, 2018. Unauthorized use and/or duplication of this material without express and written permission from this blog’s author and/or owner is strictly prohibited. Excerpts and links may be used, provided that full and clear credit is given to Off The Beaten Page Travel with appropriate and specific direction to the original content.